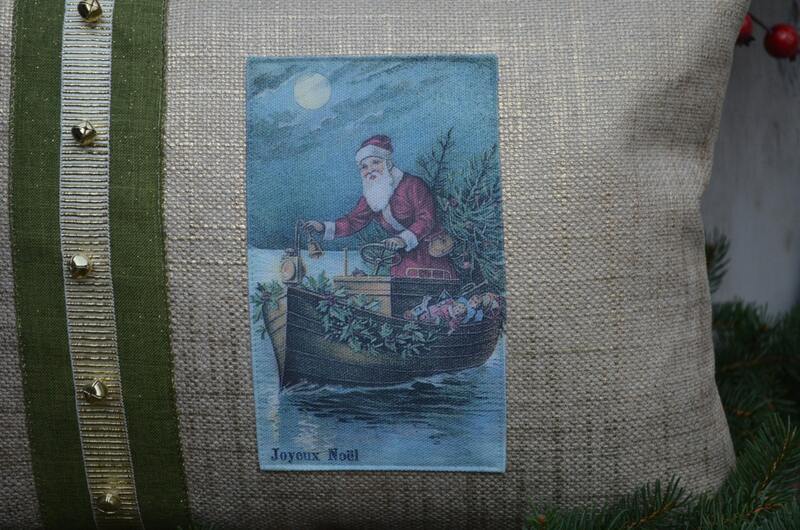 Glittery Christmas pillow featuring a postcard image of Santa on a boat with a Christmas tree. The pillow is double sided and is made with a cotton and linen blend fabric with a gold "wash" treatment over it. 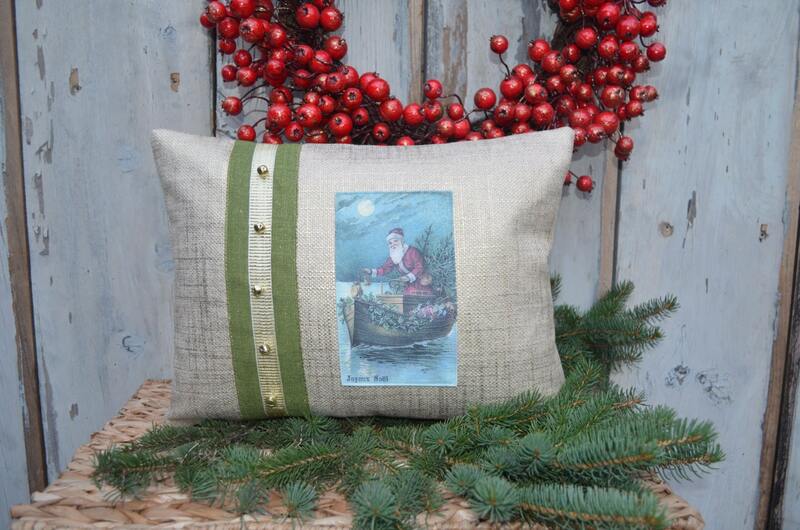 The pillow is trimmed with a moss green ribbon and jingle bells. It measures 15 1/2 inches long and 11 1/2 inches high. A 90/10 feather/down insert is included.